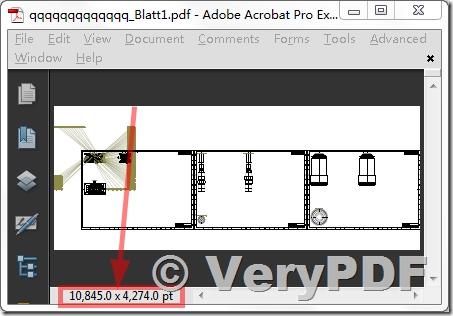 ← How to convert from PDF to DWG or DXF files? We were recently asked by a customer to help him get the best quality TIFF image from his PDF document. He wanted his TIFF image in color and also wanted to keep the size of his created TIFF image as small as possible. You can see below the difference in the quality of the TIFF image first created, and the final result. The text in the second image has a much smoother and cleaner appearance. The customer's first request was to maintain the quality of the initial PDF document. The customer's second request was to keep the file size as small as possible. It is an unfortunate fact of life that TIFF images will be bigger than the PDF file they are created from. The resolution (or dots per inch) at which TIFF Image Printer creates the image plays a large part in the resulting file size. A TIFF image created with a resolution of 200 dpi will generally be 2 to 3 times larger in file size, and at 300 dpi the image can be 3 to 5 times larger. To get the quality of output the customer needed, and to keep the file size as small as possible, the resolution of the TIFF images was set to 120dpi. This resolution is the closest match to the screen resolution Adobe uses to display the text, meaning the created image will be the closest possible match to how the PDF looks when viewed in Adobe. pdf2img.exe -r 120 "D:\downloads\VeryPDF.pdf" "D:\downloads\VeryPDF.tif"
pdf2img.exe -r 300 "D:\downloads\VeryPDF.pdf" "D:\downloads\VeryPDF.tif"
In general, you will get a better TIFF image file with above command line if your PDF file is a standard A4 or Letter paper size. Please look at above screenshot, pdf2img.exe process had already used 1.38GB memory, if pdf2img.exe process want to use more memory, it crashed. As you see, the width and height of result TIFF image is 45188 x 17808 pt size, this image's dimension is big enough. If you encounter any problem with pdf2img.exe or ps2image.exe application, please feel free to let us know. How to convert dynamic form fields (XFA) from PDF files to image files? How to call PDF to Image Converter from SaaS (- Software as as Service) platform? Is it possible for pdf2image to convert the first page or a portion of the slides out of a multiple page pdf? How do I specify a page range for conversion? How to convert from a color or grayscale PDF file to black and white TIFF or PDF file? How to convert PDF file to image files and combine image files and text information back to PDF file? 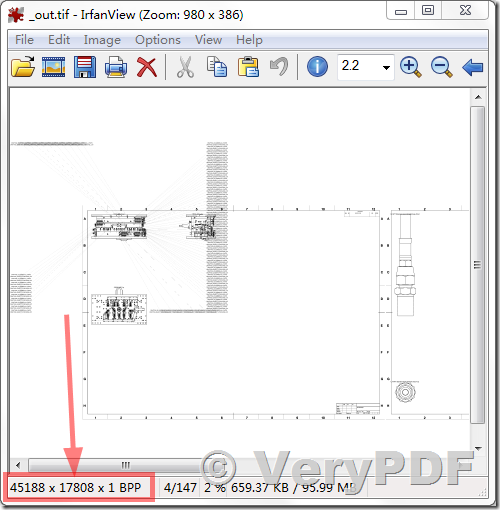 Could you know how to convert pdf file to png image? How to traverse folder and sub folder when converting PDF to image? This entry was posted in PDF to Image Converter and tagged PDF to image, pdf to jpeg, PDF to JPG, pdf to png, PDF to TIF. Bookmark the permalink.